Explore the rural scenery of Bali on a bike tour that introduces you to what daily life is like in this part of the island. 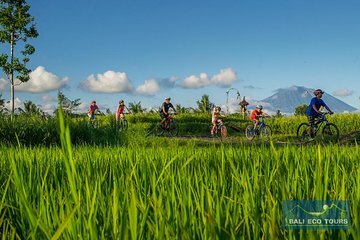 Cycle past villages and rice paddies, learn about Balinese culture, and enjoy views of Mount Batur volcano. Tour is suitable for all ages. Lunch, snacks, and a coffee break are included.